The TODAY anchor has taken the inspiration for her second book, "You Are My Happy," from her nighttime routine with Haley Joy. Hoda Kotb has written her second children's book, once again taking her inspiration from the little girl who has changed her life: daughter Haley Joy. The TODAY anchor's new book, "You Are My Happy," tells the story of a mama bear and her cub cuddling together before bedtime and reflecting on everything in life that makes them happy. Hoda's book goes on sale on March 5, 2019, about a year after the release of her first book, the New York Times best-seller "I've Loved You Since Forever." Her first book, which she called "an ode to Haley Joy," is about the love between a parent and child. It even spawned a song by pop superstar Kelly Clarkson, also called "I've Loved You Since Forever." Clarkson, who is a longtime friend to TODAY and Hoda, created a lullaby using lines from the book. The new book is also inspired by Hoda's 1-year-old daughter, this time by their nighttime routine before bed. 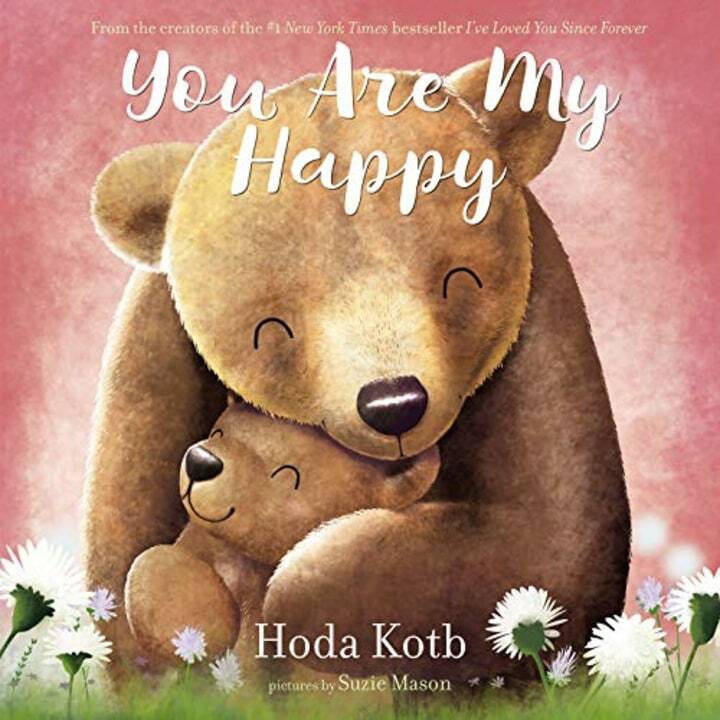 "You Are My Happy" is illustrated by Suzie Mason, who also did the illustrations in Hoda's inaugural book. Hoda became a first-time mother in 2017 at 52 when she adopted Haley, changing her life forever. They have had countless special moments together, whether it's walking on the beach, hunting for Easter eggs, or getting a sweet surprise on Mother's Day. Last month she opened up about their relationship on World Adoption Day. "I feel like if you're meant to have a child in your life, your child is out there,'' Hoda told Jenna Bush Hager on TODAY. "They said to me at the adoption agency, 'Don't worry, your child is out there waiting for you.' And I remember I would scribble in my journal, 'I know you're there.' I could feel her."